People often asked, where did white heart beads come from? Where did they evolve from? The somewhat surprising answer: Venetian green heart trade beads. These venetian beads, have a beautiful mud-colored outside, and a green center core on the inside. 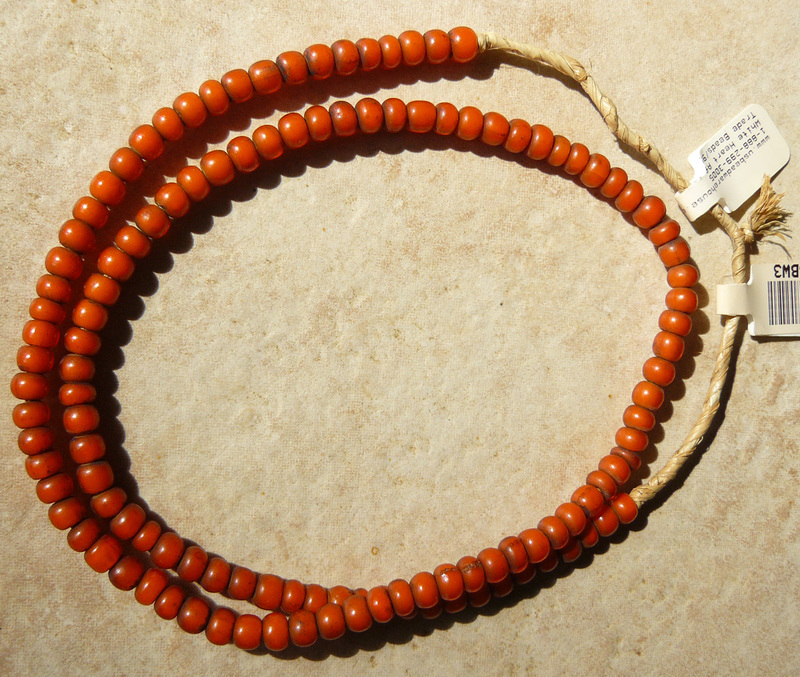 Usually, these beads are old, and were made between the 17th and 19th centuries. The strands typically measure over 20 inches long of trade beads, and run for about $30.